The young man at the right is an insect seller, the young woman at the centre sells flowers, and the youth at the left sells lanterns. Each design is accompanied by a poem. 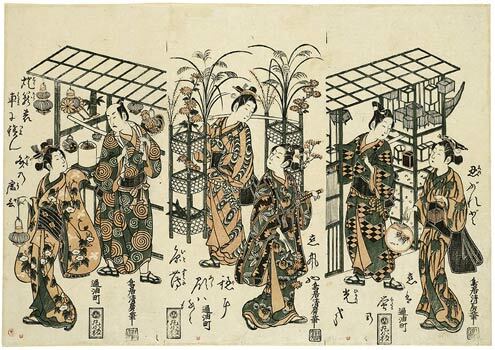 The print, a brilliant example of a benizuri-e, or two colour print in red and green, is unique.